Be the first to share your favorite memory, photo or story of Matilda. This memorial page is dedicated for family, friends and future generations to celebrate the life of their loved one. Matilda F. "Tillie" Mowrey, 82, DuBois, passed away at her home on Nov. 5, 2018. Born August 14, 1936, in Reynoldsville, she was the daughter of the late Fred and Amanda (Carr) Snyder. She married Edward R. Mowrey on June 2, 1956, in Hazen, Pa. He survives. Tillie was Methodist by faith. A homemaker, she enjoyed bowling, dancing, camping and traveling with her children. She enjoyed playing all types of sports. She was a former member of Adrian Fire Company Ladies Auxiliary. 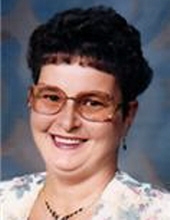 Tillie is also survived by her children: Cindy L. Rozyle, Reynoldsville, Russell E. Mowrey, Phoenix, Ariz., Beth A. (Robert) Spicher, Elizabeth, Colo., Dennis R. (Ray Sager) Mowrey, Pittsburgh, Pa.; two grandchildren, Kimberly Marshall and Tabitha Rozyle; three grandchildren, Vinnie DiLullo, Ethan Marshall, Ava Rozyle; three siblings, Mary Jane Redicliff, Florida, Geraldine Smith, Ridgway, Pa., and Gary Murphy, South Carolina, as well as numerous nieces and nephews. She was preceded in death by her parents, brothers, Charles, George, Fred Snyder and John Staley; and sisters, Beverly Snyder and Genevieve Durnell. Friends and family will be received Thursday, Nov. 8, 2018, from 2-4 and 6-9 p.m. at the Adamson Funeral Chapel, Inc., DuBois. The funeral service will be held Friday, Nov. 9, at 11 a.m., from the funeral chapel with the Rev. Clair Lundberg officiating. Interment will be in Lakelawn Memorial Park. Memorials can be made in Tillie's name to the American Cancer Society, 108R N. Second St., Suite 1B, Clearfield PA 16830, or to the donor's choice. To send flowers or a remembrance gift to the family of Matilda F. Mowrey, please visit our Tribute Store. "Email Address" would like to share the life celebration of Matilda F. Mowrey. Click on the "link" to go to share a favorite memory or leave a condolence message for the family.